As so many newbies find one or two snuffs, get interested, and and then want to make an order online, but are baffled by the variety and sheer quantity of snuffs, they come to the Snuffhouse forum for advice. Most of the time they are not familiar enough to do the research either on the forum or in the various' shop description, or that it is too time consuming for them. Oftentimes they may give up and order without knowing what they are getting, and wind up disappointed. 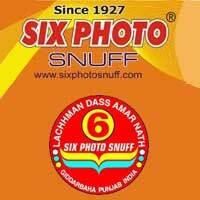 Hence we get a Frequently Asked Question: "What snuffs do you recommend for (fill in the blank)?" Usually, if i feel like answering I can try to tailor to the person's specific request, or I will say, get a few from each of the major snuff makers and a few of each type of snuff. After that they will know what they like and what they don't (more or less). I know this same topic was started by Alex years ago in the FAQs, but that thread is really gotten cumbersome and perhaps its time to start anew. I figured I would prepare my own definitive list and let the experiencd snufftakers of the ISTA chew it over as sort of a rough draft. Now, some snuffs are not to my personal taste on the list, but all snuffs I would pick becuase of either their wide availabilty or becuase they are definitive of their company or style or region. Or they were picked because they have a large popularity. I'm leaving off a lot of my favorites, but this list isn't for me. I feel the list should avoid obscure snuffs and redundant snuffs. For instance I list Wilson's Best SP. Its Not my favorite SP. Its not even my favorite SP from Wilsons, but its the one we use to compare the others to, better or worse. So its "essential." Irish High Toast No. 22 be sure its the "22." This is the definitive Toast. Very good idea, I like the concise nature of it and the fact that we have to keep our personal best out of it for the sake of neutrality. I also think it is best to keep out very complex snuffs such as Grand Cairo or even the whole Fribourg and Treyer range (Blasphemy!). But it seems that new users find these snuffs hard to take due to their complex nature. What about some Poschl snuff? And McChrystals O&G is a must in any snuff collection. No snuffer can live without it. Yes, good ideas. Like I said, I got tired after working on that for an hour, so left it "in progress". I did Wilsons first then did A thru D.
Now I am worried there are too many on the list. Chirs, I'm looking at the F&T list at the moment. I feel I disagree. I think a few of them should get included. At the least HDT as the second most well known Toast. Bordeux I'd also consider as a leading member of English Perfumed "class". Also I'm thinking about Santo Domingo or Princes as rappees, one but not both. On Toque: yes a few should get added. I'm just staring "F" now. Not sure about rose, as its very similar to Wilson's rose, and one or the other should go in. I listed Wilsons due to its venerated status (not saying its better). On the Absinthe: good call, except that McChrystal's Anisette and WoS Aniseed & Eucalyptus have no menthol. At least one solid Anise snuff should be in the list. Hopefully you guys will have debated it out by the time I get to "T". Updated and finished initial rundown. I think that's too long a list, though. I welcome comments, insertions, deletions etc. Still waiting on the deliberation on the an anise representative, and also need a peppermint rep. This is not ready for prime time as they say. Chris not sure if I should add Berwick Brown. Not as well established and venerated as the KBs and its more like the scented ones which I did not include. What do the rest of you think? PS No offense, Roderick. Its an excellent snuff, just very young. Good list. Maybe worth an up date as a few have gone or had a name change. Also there are several new snuffs that some would say deserve to be on the essentials list. In all seriousness though, I would be struggling to comment on many of the newer iterations. My SG and GH snuffs are all premerger, and I dont know with any real certainty what changes have been made or who is actually producing the flour. My Viking are all from the original SG site too, as are my Jaxons, and while we know that Jaxons has switched mills (to either WoS or McC), there seems to be no certainty what changes may have happened with the production of Viking. As such, I'd need to rely on those who have bought and sampled their snuffs after the changes to comment on them. It is sad to think my bulk stashes of Burgundy, Brunswick, SP Scotch, GH KB Plain, and London Brown may never be replaced, and my bulk stash of Firedance and Celtic Talisman might not be like for like if I ever do order more. All those need to outlive me. Thankfully my Toque favourites, my WoS and FT favourites which survived the cull, and McC Mild Sicillian Lemon Burst, are all safe and unchanged for the foreseeable future. Toque listings should include Ambrosia, Spanish Gem, Berwick Brown, Chocolate, Toffee, SP Extra, Blueberry and Raspberry for certain. WoS listings should include Tom Buck, Best Dark, Rows, Grand Cairo, Royal George, and Grove at the very least. Plus stick the whole Fribourg and Treyer line in, along with Rumneys Brown. Kailash and Anarkali need to be on the list too. It's funny how things have changed within 10 _ 15 years for British snuffs. When I first tried snuff SG & HG had such a wide range like WOS. Toque was the new snuff staring out then. 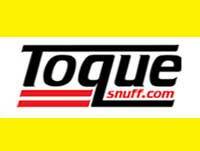 Toque now produce the largest range after 10years. They have done this with some funky and good quality snuffs. Guess they targeted a new generation and the smoking ban in pubs probably helped. @beantin, Toque (i. e. Roderick) was (and still is) really active online, particularly here and in other tobacco devoted forums. We can't underestimate this fact, as well as Toque's penetration into the US market. On the contrary, GH/SG are absolutely passive online. You even can't procure their products online directly. WoS do run their online shop and make attempts to adjust and stay up to date (renewed website, modernised packaging line, recently introduced tester-size 5 g tap tins). @volunge Want you said is 100% right. A lot of the British manufacturers have not moved with the times. Toque are good online and also have very good tins for storage and use. The WOS & McChrystal tins are a big issue for most people as they are terrible. I must admit I just decant the WOS & McChrystals tins as soon as I get them. But I have now started to buy my preferred snuffs in bulk tubs as they stay fresher longer. WOS 5g tap tins are also not the greatest. I got a few of them and they don't seal well or suit finer snuff. It is basically a J&H Wilson's tap tin, with the plastic base and tin top. It is no world changer in my book, but it is a start. At the end of the day we buy the product inside and want this to be as good as possible, for a reasonable length of time.